Historians and archaeologists have lavished attention on the new kingdoms established by various barbarian peoples in the former western Roman Empire in the fifth and sixth centuries. These peoples are, relatively speaking, visible: their kings issue lawcodes; men such as Jordanes, Gregory of Tours, Isidore of Seville and Bede write their histories; they bury their dead with jewellery, vessels, and, of course, weapons. Even if we cannot follow one Anglo-Saxon archaeologist, who seems to argue that because Angles and Saxons buried weapons with the dead their society must necessarily have been very violent,1 we must at least accept that the Germanic barbarians lived in militarised societies. Let me define that term. By a militarised society I mean a society in which there is no clear distinction between soldier and civilian, nor between military officer and government official; where the head of state is also commander-in-chief of the army; where all adult free men have the right to carry weapons; where a certain group or class of people (normally the aristocracy) is expected, by reason of birth, to participate in the army; where the education of the young thus often involves a military element; where the symbolism of warfare and weaponry is prominent in official and private life, and the warlike and heroic virtues are glorified; and where warfare is a predominant government expenditure and/or a major source of economic profit. A society may partake of some of these without necessarily being a militarised society. William Jefferson Clinton is commander-in-chief of the armed services of the United States, and all American adults can carry weapons, but the United States of America is far from being a militarised society. More pertinently, a Roman Emperor was the commander-in-chief, and warfare was the predominant government expenditure of the Empire; but the Romans preserved a strong distinction between soldier and civilian, did not allow civilians to bear arms, and maintained a predominantly literary rather than military education. Certainly some of these distinctions were beginning to break down in the West by the late Roman period. At one moment of panic in the early fifth century even slaves were encouraged to take up arms; increasingly great magnates seem to have assembled private armies; some officials are known who had both civilian and military functions; the word militia came to be used indiscriminately of military and civilian service. MacMullen talks about the very gradual militarisation of government and administration over the last two centuries of the Roman Empire.2 But, it is generally reckoned that, by the criteria I have listed above, the barbarian kings of the early Middle Ages presided over militarised societies, whereas the Emperors of the Late Roman period did not. Militarisation does not necessarily imply a high degree of violence: it is a matter of structure rather than quantity. Warfare might be highly ritualised, for instance, as arguably it was in pre-Viking Ireland or in Anglo-Saxon England;3 warfare might be very seasonal or short-lived; it may involve only a small specialised class of people. None of these necessarily affect the question of whether or not we are dealing with a ‘militarised society’. I shall thus leave to others the debate about the size of early medieval armies, which operates between the extremes of a small élite force and a mass army of free men (and which thus overlaps with the equally ongoing debate about the proportion of the free within the early medieval population). We may speculate about how a militarised society comes into existence, although some might say that it is rather harder to explain how a civilian society emerges. As far as the Germans are concerned, we can arguably trace an increasing militarisation from the time of Tacitus onwards. Tacitus’s Germania, if it can be relied upon at all, seems to show a Germanic world rather different in its organisation and ethos from the barbarian kingdoms of the fifth and sixth centuries, even if it does portray a recognisable ancestor. Warfare was certainly significant, and weapons played a role in their ceremonies (for instance a young man receives a shield and spear as a symbol of adulthood), but long periods of peace were known among them, and, a crucial difference, their warleaders and their kings were not the same people. The changes in Germanic society after the time of Tacitus came about largely because of the close links with the Empire; frequent military contacts – both as enemies and, even more frequently, as allies – must have taught the Germans a good deal about Roman military practices, and altered the structure of military organisation within their societies.4 The process of migration itself must have strengthened military elements in Germanic society, not only because of the disruption of the migration itself, and its largely military nature, but because of the demands of the foedus with the Roman authorities, which turned several prominent barbarian peoples – one might say most barbarian peoples – into parts of the Roman military machine. Barbarians probably made up the majority of soldiers in the Western Roman army in the fifth century. We may presume that fact had profound effects on the way in which the barbarian peoples developed within the Roman Empire, in the barbarian kingdoms that replaced the Empire in the West. Very little is known about the process by which, say, the Frankish or Visigothic aristocracies became landed aristocracies, on the model of the Roman aristocracy, but much of their landed power may well have come to them initially as a result of the military service owed to their kings. The kings and their aristocracies alike owed their position within the Roman Empire to their military successes. All this is well enough known, or as well known as is possible given the problems of our sources. There is a parallel process, however, which is much less well-known: it is sometimes happening in parts of the former Roman world not well treated by sources, and is largely out of reach of archaeologists. That is the topic which I am dealing with here: the militarisation of the Roman population, which occurred in varying modes in different parts of the former Roman Empire. We may take it that it occurred everywhere, at least within Christian Europe, by the end of the early Middle Ages in around 1000, by the onset of what was once conventionally known as the feudal age. Our problem is knowing how and when it occurred in each region; but also why. Such a comparative history may show us something that those who are concentrating on single regions may conceivably overlook. The most obvious distinction to be made is between those regions where barbarians had considerable impact, both because of the relative density of their settlement and also because of the high degree of control by the new barbarian kings (such as northern Gaul and eastern England) and those parts of the Roman world where barbarians only had a marginal or indirect impact, such as Aquitaine or Wales. I shall look first at the regions at the heart of the barbarian world, before moving, via Spain and Italy, to Aquitaine and Wales. All kinds of assumptions which were once made about the early barbarian kingdoms are now questioned, and have caused a rethinking of the nature of the relations between Roman and barbarian. It is now assumed, for instance, that those people whom historians call, indiscriminately and confusingly, Romano-British, British, Britons or Welsh, continued to live within the new Anglo-Saxon kingdoms, rather than being killed or expelled as Bede had written in the eighth century. It is no longer assumed that barbarians by descent necessarily preserved any monopoly of military service or of authority based on military power. and above all, conventional assumptions about ethnicity began to blur some time ago in historical and archaeological writing, notably when it began to be realised that within the barbarian kingdoms, particularly at their hearts, ethnic labels had little to do with biological descent. This last observation has a significant impact upon our thinking about the militarisation of Roman society within certain barbarian kingdoms. The king and his immediate entourage, whether in Francia or in England, constituted the core of the army as well as the core of the people. The Roman who took service with a Frankish king, the Romano homine, conviva regis of the Pactus Legis Salicae (41.8), for instance, probably began to be regarded as a Frank, and perhaps even began to regard himself as a Frank, and to take on, or give his children, Frankish names – making them totally invisible as Romans in the pages of our main source, Gregory of Tours. Duke Gundulf would be the obvious example: a Frankish military leader whose ethnic identity as a Frank would have been beyond question had not Gregory said, à propos of Gundulf’s visit to Tours, “I realised that he was my mother’s uncle.”5 Roman aristocrats thus joined the Frankish military system; so too, almost certainly, did other Roman soldiers. There is a muddled story in Procopius, which has occasioned much debate, relating how the remnants of the Roman army in northern Gaul came to serve under Frankish kings, preserving some of their own customs as they did so, “and preserving the dress of the Romans in every particular, even as regards their shoes.”6 The Roman army in Gaul had long been Germanised; the Frankish army, no doubt, had long been Romanised. Procopius=s story suggests how some kind of fusion of two military systems may have come about, presumably under the ægis of the earliest successful Frankish kings, Childeric or Clovis. My own explanation of the spread of the ‘row-grave culture’ in Francia, published in 1979, was that those who were buried with weapons and other equipment in the cemeteries of northern Gaul may well have been following the customs set by the new Frankish military aristocracy, regardless of their own biological origins: some of them might well have been descendants of those Roman soldiers mentioned by Procopius. The spread of the new burial custom was a function not of Germanic colonisation but of the expansion of lordship by those connected to the royal court and the royal army . This incorporation of Romans within the new barbarian culture may also be reflected in the cemeteries of Anglo-Saxon England: even if those apparent Welshmen Cerdic and Cynric might have slipped into the West Saxon royal genealogy by error, it is by no means impossible that the warbands of the earliest migrant peoples were swelled by recruits from the indigenous population. At least until the recent work of Heinrich Härke, which suggests that skeletal evidence may yet reveal ethnic difference, Anglo-Saxon archaeologists had begun to think that, as in Francia, ethnicity was not so much biological as political and perhaps even functional – related to kinship, certainly, but also relating to royal service. Joining a warband of a Germanic king may well have meant joining that king’s people, both in the perception of other people and in one’s own perception: thus the militarisation of the Roman populace, or a proportion of it, went hand in hand with the ethnogenesis of a Germanic people. For Spain we have less evidence than either Gaul or Italy; in particular, we do not have the detailed narrative accounts and varied hagiography that we have for Gaul, nor the land transactions which are so valuable for Italy, as we shall see. Even though for Spain we have the most detailed description of any early medieval campaign outside the writings of Procopius, Julian of Toledo’s History of Wamba, for questions of recruitment and organisation we are dependent upon lawcodes, whose applicability is far from certain, while details of the personnel of the landowning class are almost entirely absent. It does seem, however, that the Roman distinction between soldier and civilian was maintained into the later seventh century, and this into the period of the major legal compilation. The comes civitatis who ran the civil administration was distinct from the comes exercituum who was a commander in the royal army, and only occasionally did military commanders apparently have civilian office as well. Even with those occasional exceptions there are problems. 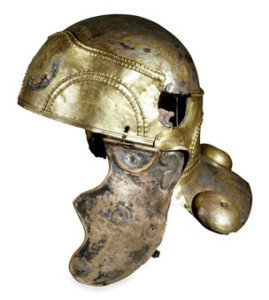 Was Claudius, the dux or military commander of the province of Lusitania, also a count of Merida, as might be assumed from the Vitas Patrum Emeretensium?7 Claudius is at least evidence from as early as the time of Reccared, at the end of the sixth century, for the involvement of Romans in the Visigothic army: indeed, Claudius is one of the great military heroes of Spain, who, if we can believe the contemporary chronicler John of Biclaro, put to flight or killed some 60,000 Franks with the help of three hundred men.8 There does not seem to be any ethnic distinction made in military terms. By the seventh century, at least, all free males were required to serve in the Visigothic army, an extension at some point in time, as some historians have argued, of the obligation of military service laid on adult Visigoths to the free Roman population as well. If this is an attempt at a militarisation of Roman society, it is clear that it was far from successful; the Visigothic kings had enormous difficulties in persuading men to attend muster. Partly for that reason, perhaps, we have a unique situation in Spain: all those obliged to serve had to bring with them one-tenth of their total force of slaves, and those slaves had to be brought fully armed.9 The reason for the difficulties of persuading men to attend the summons may have been very similar to the experience of the late Roman authorities: except in the fairly frequent case of attempted usurpation, Visigothic armies had few opportunities for offensive action or for the gathering of booty, making membership of the armed forces far from attractive. Once the Sueves had been defeated and the Byzantines expelled, their main activity was internal control; even the Franks, by the seventh century, were not a major threat. As in the late Roman Empire, potentially the most profitable military activity, as well as the most hazardous, was involving oneself in attempted usurpations. I am now going to turn to areas of Europe where the barbarian impact was less and was certainly indirect, and I am going to start in Byzantine Italy, briefly recalling the conclusions of the most detailed account of this early medieval process of militarisation, Tom Brown’s Gentlemen and Officers. Brown showed how the strict division between civilian and military sections of Roman government was already weakening in Italy in the fifth century, and was given a death-blow by Justinian’s Wars of Reconquest in the sixth. Byzantine Italy was, by the late sixth century, ruled by a military governor, known to historians though not always to contemporaries as the exarch. Rather more important in the historical process with which we are concerned, however, was not the influence of an external power, but the disappearance of the civilian senatorial class in the sixth century, and the growth of a new military aristocracy in Byzantine Italy. In the second half of the sixth century, 10% of the participants in Ravenna land transactions were military officials; over the whole seventh century the proportion was 75%.10 Most members of the new military landed aristocracy in the seventh century were, it seems, local in origin, rather than eastern or barbarian. Brown does not think this development is anything to do with the Byzantine theme system, whereby the state set up a network of soldier farmers to replace or supplement increasingly ineffective traditional methods of recruitment: rather it is the result of “a haphazard process in which soldiers were able to exploit their official position in order to gratify their social and economic ambitions.”11 Brown notes that a large number of civilian landowners survived, and that no military obligations were placed on land in general, which had the effect of making all possessores into milites, as happened elsewhere in Europe. The landowning milites, however, were politically much more significant than the civilian possessores, making it likely that numerous civilians actually joined the military class in order to earn a more prestigious status. The end result, therefore, was that “most land came to be concentrated in the hands of either the Church or the military commanders.”12 One almost inevitable result, given the weakness of the state, was the privatisation of power and authority. Byzantine Italy is just one area of Europe, though admittedly a very special one, where a militarised Roman society developed in the early Middle Ages largely removed from the influence of barbarians. The two others I want to look at are Aquitaine and Wales. Aquitaine, although part of the Frankish realm following the series of campaigns which began in 507, did not apparently have a foreign aristocracy imposed upon it. Although limited military settlement may have been made in the area north of Bordeaux, with cemeteries such as Herpes and Biron providing the material witness, this did not have enough significance to earn a mention from Gregory of Tours. The region largely developed on its own in the course of the sixth and seventh centuries, under its own lay and clerical aristocracy, which seems in large part to have descended from the landed aristocracy of Roman times – Aquitaine never suffered the destruction or exile of its Roman aristocracy, as Italy did. I have very swiftly sketched some of the main characteristics of military developments in the post-Roman world, developments that inevitably had profound effects upon social development in early medieval Europe. As can be seen, the depth of our ignorance is profound. But we can see something of the variety of experience and circumstance in the various parts of the former Roman Empire, and the different ways in which Romans reacted to the pressures of the post-Roman world. The eighth-century invasions of the Arabs in Spain and of the Franks in Aquitaine brought new disruption in those regions; elsewhere the militarisation of the Roman world was a significant element in the growth of Carolingian Europe and of ‘the feudal world’, and one that well deserves comparative study in very much greater depth than I have been able to supply in these few pages. 2. MacMullen 1962, esp. pp. 49-76. 4. Thompson 196, pp. 54 ff, argued that a growing militarisation had already occurred between the time of Julius Caesar and the time of Tacitus, with the armed retinues of chiefs becoming much more significant politically and socially by the end of the first century AD. 5. Gregory of Tours, Histories VI.11, quoted from the translation of L. Thorpe, Gregory of Tours: History of the Franks (Harmondsworth, 1974), p. 342. 6. Procopius, Wars V.xii.13-19; translation by H.B. Dewing, Procopius (London, 1919), III, pp.121-3. 7. See King 1972, p. 55 n.2. If so, Claudius is the exception to Thompson’s statement (1969, p. 144) that “no Roman, so far as is known, was ever allowed to be a city count in the history of Gothic Spain”. 8. John of Biclaro, Chronicle 91: see K.B. Wolf, Conquierors and Chroniclers of Early Medieval Spain (Liverpool, 1990), p. 77. 9. The Visigothic Code IX.2.9, translated by S.B. Scott (Boston, 1910), pp. 327-30: see King 1972, pp. 75-76. 10. Brown 1984, p. 63. 11. Brown 1984, p. 102. 12. Brown 1984, p. 195. 13. Letters: III.3.7 and V.16.2; W.B. Anderson, Sidonius: Poems and Letters (London, 1936), II. 16-17 and 222-23; Gregory of Tours, Hist. II.37, Thorpe, p. 154. 14. Morris 1973, p. 127. 15. Carmen 22, ed. and transl. W.B. Anderson, Sidonius: Poems and Letters (London, 1936), I. 262-283. See, e.g. A. Nicolaï, “La villa gallo-romaine de Pontius Leontius (Burgus)”, Société Archéologique de Bordeaux 46 (1929), pp. 1-23. 16. See Van Dam 1985, pp. 16-20; Halsall 1992, pp. 205-06. 17. See Collins 1986, esp. pp. 108ff. 18. Higham 1994 suggests (pp. 90-113) that he may have been writing in lowland Britain south of the Thames, specifically in the territory of the Durotriges (roughly Dorset). 19. As well argued in, e.g. Sawyer 1978, pp. 51ff. Bachrach, B.S. ; 1972: Merovingian Military Organisation, 481-751. Minneapolis. Brown, T.S. ; 1984: Gentlemen and Officers: Imperial Administration and Aristocratic Power in Byzantine Italy, AD 554-800. Rome. Halsall, Guy; 1989: Anthropology and the Study of Pre-Conquest Warfare and Society. In S.C. Hawkes, ed., Weapons and Warfare in Anglo-Saxon England. Oxford, pp. 155-77. Halsall, Guy; 1992: The Origin of the Reihengräberzivilisation: forty years on. In J. Drinkwater and H. Elton, eds., Fifth-Century Gaul: A Crisis of Identity?Cambridge, pp. 196-207. Higham, N.J.; 1994: The English Conquest: Gildas and Britain in the Fifth Century. Manchester. James, Edward: 1977: The Merovingian Archaeology of South-West Gaul. British Archaeological Reports, Supplementary Series 25. Oxford. James, Edward: 1979: Cemeteries and the Problem of Frankish Settlement in Gaul. In P.H. Sawyer, ed., Names, Words and Graves: Early Medieval Settlement. Leeds, pp. 55-89. King, P.D. ; 1972. Law and Society in the Visigothic Kingdom. Cambridge. MacMullen, Ramsay; 1963: Soldier and Civilian in the Later Roman Empire. Cambridge, Mass. Morris, John. ; 1973. The Age of Arthur: A History of the British Isles from 350 to 650. London. Sawyer, P.H. ; 1978: From Roman Britain to Norman England. London. Thompson, E.A. ; 1965. The Early Germans. Oxford. Thompson, E.A. ; 1969: The Goths in Spain. Oxford. Van Dam, Raymond; 1985: Leadership and Community in Late Antique Gaul. Berkeley. Wilson, D.M. (ed. ); 1976. The Archaeology of Anglo-Saxon England. London. This entry was posted in Articles and tagged 5C, 6C, 7C, 8C, Anglo-Saxon, Bede, early medieval, Italy, Roman Britain, Roman Empire, Spain, Wales. Bookmark the permalink.